This cache is located off the Beartooth Highway, which crosses a spectacular alpine landscape. This cache is located north of the Beartooth Highway. Access via Forest Service Road 142. This road dead ends near the cache, 2.5 miles from the highway. 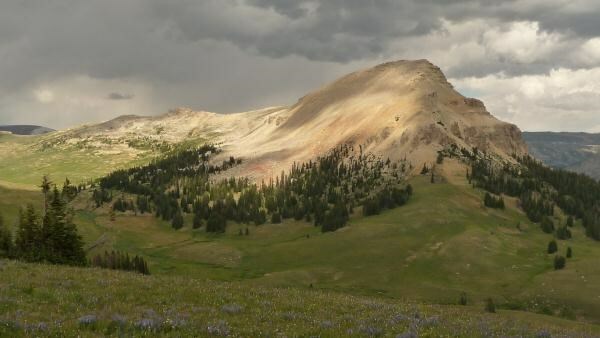 There are no major access impediments, but be aware that this cache can only be pursued in summer and early fall, when the Beartooth Highway and FS 142 are open. Winter weather is possible any month of the year, and keep an eye on the sky, as you don't want to be hunting this cache in a lightning storm. This is a great spot to enjoy a summer picnic, and to get away from (most) of the tourist crowds. Enjoy! I. E. pursue at your own risk.